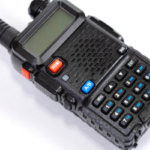 When using two-way radios, signals are typically transmitted via VHF (30 MHz to 300 MHz) or UHF (300 MHz to 3,000 MHz) waves on the radio spectrum. There are pros and cons to each. In some instances it is better to use radios set to the VHF frequencies, and in others the UHF frequencies. In addition to two-way radios, these frequencies are also used for television, cell phones and the internet. 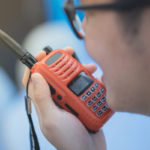 If you are thinking about buying two-way radios, for personal or commercial use, it is good to know the differences between these two sets of radio frequency bands. Knowing what your radio is capable of, what type of environment you will be using your radio in, and what frequencies are designated to what use in your country are all important when deciding on what type of radio you will buy. 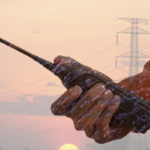 Here are some differences between UHF and VHF, and how it affects how you use your radios. The ITU (International Telecommunication Union) has designated VHF (very high frequency) radio waves at 30 to 300 MHz. These waves are longer than UHF waves (typically one to ten meters) and are most often used for long distance communication. The key to transmitting radio waves a long distance along VHF waves is to keep both the transmitting radio and receiver above all possible interfering objects. VHF frequencies, due to the length of their wave, are unable to transmit through many objects like walls, hills and dense forests. Typically, transmissions sent along these waves are sent and received high above the earth. Air traffic control uses 118-137MHz for all communication, and air navigation beacons use 108-118 MHz. 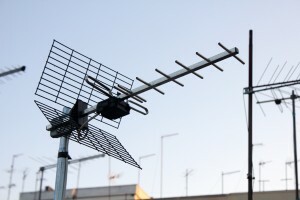 In addition, FM radio and television also use VHF frequencies, where most of their signals are sent and received high atop towers spaced all over cities and counties. 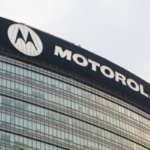 On two-way radios, antennas can be used to increase the distance that signals are transmitted. Below 30 MHz, wavelengths are too long to do this. If using your radio on VHF or UHF, an antenna right on your radio can help with communication over longer distances. UHF (ultra-high frequency) radio waves are shorter waves designated from 300 MHz to 3,000 MHz. They are 1 decimeter to 1 meter in length, and are also affected by mountains, hills, buildings and walls, more so than VHF frequencies. One advantage to UHF over VHF is that antenna can be much smaller when used on higher frequencies. At times, a base antenna is needed for a radio using VHF, whereas a small antenna on the radio can be used for UHF. In addition, there are many more frequencies available using UHF, which can be extremely useful in areas with a higher population density. In contrast, the shorter wavelength of the UHF decreases the distance at which signals can be transmitted. The line-of-sight between sender and receiver is much shorter with UHF waves. With both VHF and UHF radio signals can be intensified and sent over longer distances using both antenna and repeaters. There are many things that affect the signal strength of radio waves. Physical obstructions, solar wind, moisture and the time of day all degrade the strength of radio waves. The higher the frequency, and shorter the wave, the more these easily degraded the waves are. So VHF waves degrade less and can be sent over much longer distances versus UHF waves. In order to increase these distances, we can use repeater signals that receive messages from various radios, and use larger antenna to then send the signals back out. In addition to repeaters, all over the world are large towers and masts that receive and send radio signals constantly. Because these towers reach high above most buildings and are often set in open fields, they are able to send and receive transmissions from much greater distances. When used with the many frequencies available on UHF, a massive amount of data is sent through each tower every day. For personal use, a simple analog radio set to VHF is more than capable of sending and receiving messages for great distances (as long as physical obstructions are not weakening the signal). For commercial use, radios using UHF waves give large populations access to many more channels than VHF. Add to that repeaters high atop towers, and distances can be increased to hundreds of miles.